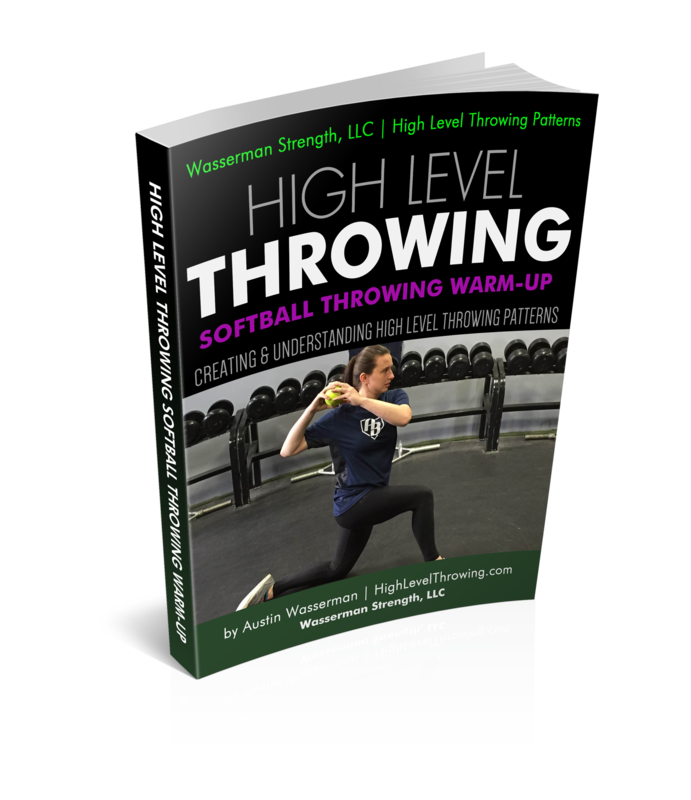 Coaches, not exactly sure how to integrate a proper throwing program or progression during practices or even games? 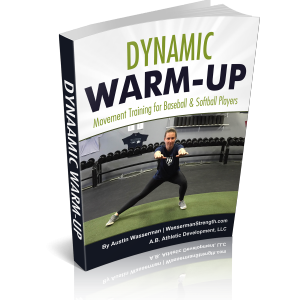 Then check out this 10-page, Softball Throwing Warm-Up PDF! 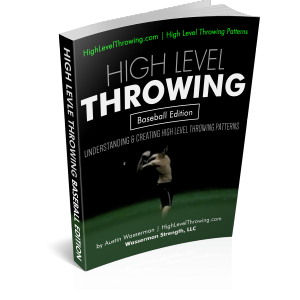 Stop guessing what your team’s throwing program should be and learn how to make it effective, consistent AND practical! The landscape of teaching throwing mechanics has changed! 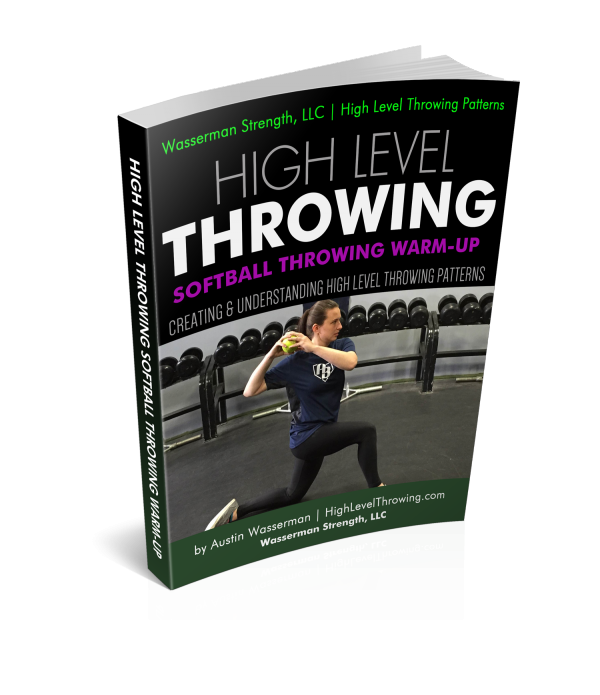 Throwing is a series of movements! Athletes need to learn how to perform movements THROUGH positions of the throw, instead of practicing the same old, static positional set ups such as the L-Drill and Wrist Flicks! Not sure what Throwing Drills you should be focusing on? No problem! If you’re not local to our home facility, I will use video provided by the customer to breakdown the throwing pattern and get your throwing patterns assessed! Some players and parents just don’t know what drills to use within the book or what exactly to focus on. What if you’re working on the wrong element? What if you’re reinforcing a poor throwing pattern? Let me help! 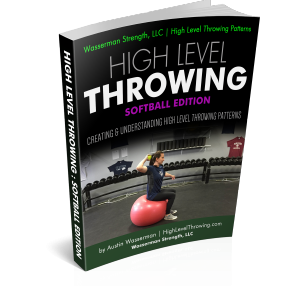 Provide Medicine Ball Drills designed to strengthen your throwing patterns & increase velocity! This is an Add-On cost of $200. Please allow 1 week for completion. A Paypal Invoice will be created and sent over to your email account. As soon as payment is made and the video is delivered, I will get started! 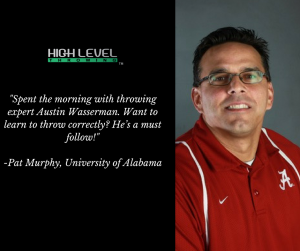 Please email Austin@HighLevelThrowing.com to set this up!